The Story: Good Guy or Bad Guy? A few years ago, my kids and I really got into the Star Wars movies. Of course, I was all over it. Over the course of several weeks, we plowed through all six movies and I had the chance to tell them all of my glorious childhood associations with this mythic inter-galactic story. Phantom Menace Anakin is a precocious little kid who (accidentally) saves the day. Pretty clearly a good guy. 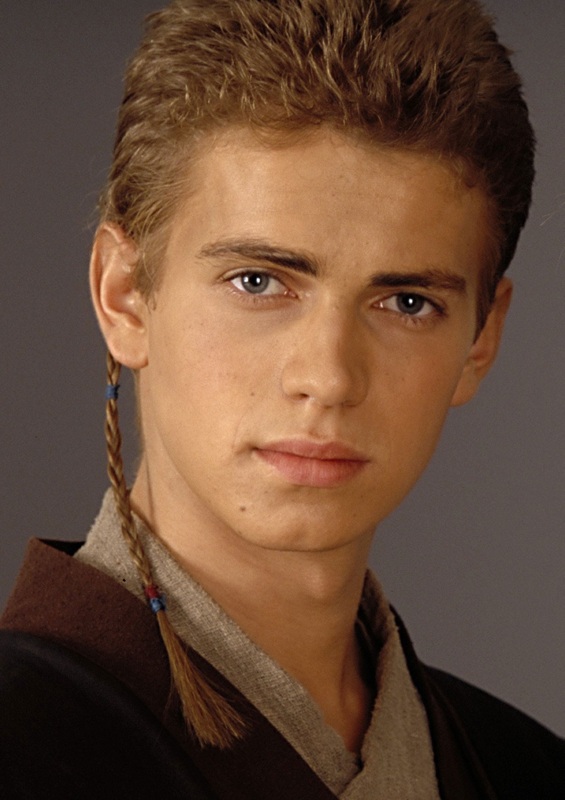 As a padawan under the tutelage of Obi-Wan Kenobi, Anakin trains to become a Jedi Knight. Again, one of the good guys. 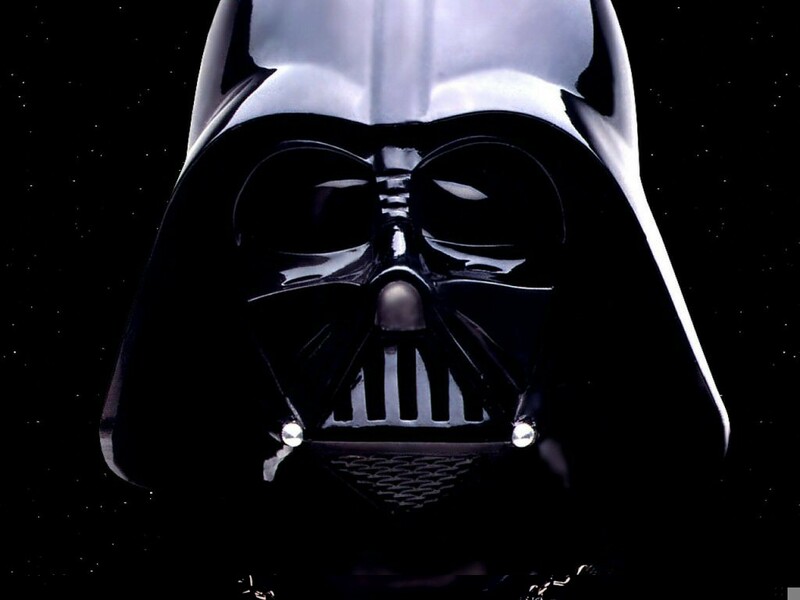 But then his story turns tragic as he’s “seduced by the Dark Side of the Force.” Anakin Skywalker becomes Darth Vader, murderer of younglings, slave to Emperor Palpatine, choker of Death Star devotees, and overall movie-bad-guy archetype. So, for a major portion of his story, Anakin / Darth is pretty clearly a bad guy. But [SPOILER ALERT] his story takes a redemptive turn in the final act as he overthrows the Emperor, saves his son, brings balance to the Force and (unfortunately) removes his helmet. 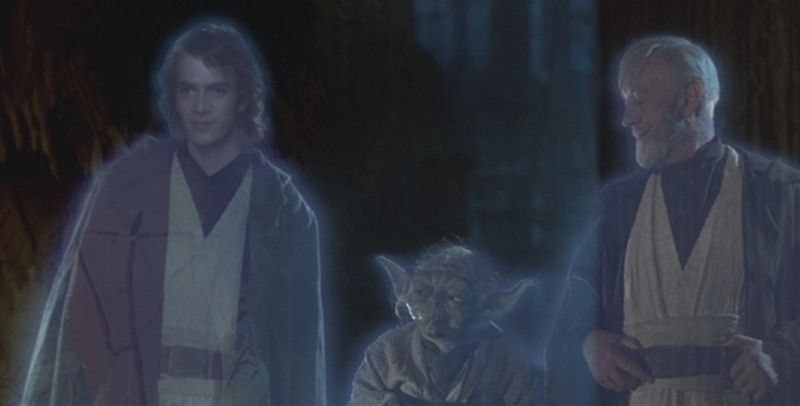 Amid the jubilation on Endor, we see Anakin taking his rightful place in the hologram good guy Jedi Mount Rushmore. You can see why my son is a little confused. In our reading of The Story this year, we come across certain characters who are easy to classify as “good guys”; think Moses, David, Abraham. And we also meet plenty of “bad guys” (and gals), like Pharaoh, Nebuchadnezzar, Ahab and Jezebel. But at this point in our reading, we come to an individual who, like Anakin Skywalker, is a bit more difficult to categorize. Depending on which part of his story you read, you’d be inclined to think of him as either a good guy or a bad guy. We’re talking about King Saul, the first king over Israel. Saul comes from a good background; he’s one of the elite. Only the upper crust tells the story of their great-great-great grandfathers. Saul comes from a wealthy line, a proud and noble family. The first time we meet him, he’s doing something noble: searching for his father’s lost animals. Does that sound like someone else in Scripture? Reminds me of Jesus. God speaks to Samuel: 1 Sam. 9:16, About this time tomorrow I will send you a man from the land of Benjamin. Anoint him leader over my people Israel. Other translations put it this way: Anoint him prince over my people. This word is different than the Hebrew word for “king”. Some scholars see this as God allowing Israel their request while still remaining sovereign over Israel. Saul IS the king, but that kingship is only to be understood under the ultimate kingship of God. In 1 Sam. 10, Samuel anoints Saul as the first king over Israel. And Saul receives this promise: The Spirit of the Lord will come powerfully upon you, and you will prophesy with them; and you will be changed into a different person. Just a few verses down, it says 10:9, God gave him another heart. Saul is given a new heart, a fresh start, a clean slate. He is given a position of authority as king in Israel, to be a steward over the people. In ch11, at the high point of Saul’s story, he leads the people to victory over the Ammonites and when it’s over, he instructs the people to worship God and renew the covenant. So Saul is definitely a good guy, right? In ch14, thanks to the daring exploits of his son, Jonathan, Saul has the Philistines on the ropes. About to send the troops out. But according to OT Law, no Israelite army was to enter battle without the priestly address (Deuteronomy 20:4-5). This involves presenting the ark of the covenant and the priest offering up this word of blessing: Hear, O Israel, today you are drawing near for battle against your enemies: let not your heart faint. Do not fear or panic or be in dread of them for the Lord your God is he who goes with you to fight for you against your enemies, to give you the victory. Sensing that he was about to lose a golden opportunity to rout the enemy, Saul commits an unthinkable act: he orders the priest to suspend his blessing. Saul disobeys the direct command of God by going into battle without the full blessing. Remember: his role was to be at the front of the line, leading people in covenant faithfulness. In the same chapter, Saul makes this rash vow: Cursed be the man who eats food before evening. This unnecessary oath creates incredible hunger in Saul’s men; when they finally are allowed to eat, they violate the command not to eat meat with blood in it. God gives Saul a direct command: Take on the Amalekites and completely destroy them and everything that belongs to them. Hard word, but God gave it to a few people at various times in Israel’s early history. Saul’s army strikes, and God gives them the victory. V9, But Saul and the army spared Agag and the best of the sheep and cattle, the fat calves and lambs – everything that was good. These they were unwilling to destroy completely, but everything that was despised and weak they totally destroyed. Because of this sin, God takes the kingdom away from Saul. Saul makes excuses for his behavior — he says he obeyed the command partially. And Samuel stops him right there. Because there is no such thing as partial obedience. We often want to bargain with God like Saul does here. “I was partially obedient. I obeyed most of the command. Isn’t that good enough?” But Saul’s partial obedience is really just rationalization for his disobedience. How often do we do the same thing? Here is Samuel’s response, speaking on behalf of the Lord: 1 Samuel 15:22, Does the Lord delight in burnt offerings and sacrifices as much as in obeying the voice of the Lord? To obey is better than sacrifice, and to heed is better than the fat of rams. By his disobedience, Saul forfeits the blessing of God; his story is tragic in this regard. So let me ask you: Is Saul a hero or a villain? A good guy or a bad guy? Before we render a final verdict on Saul, let me ask you another question. What about you? Are you a hero or a villain? A good guy or a bad guy? Which one are you? You see, the line between heroes and villains in Scripture get blurry sometimes. With a guy like Saul, it kind of depends on which part of his story you want to look at. And the same is true for us. Like Saul, the Lord has done so much for us – chosen us, anointed us with His Spirit in baptism, given us a new heart and a fresh start. And yet, also like Saul, too often we are poor stewards of those blessings. Like Saul, we make poor choices and, like Saul, we have to suffer the consequences for those actions. Here is the good news: our stories haven’t concluded just yet. Good guy or bad guy? The choice is ours. This entry was posted in Devotional, Faith, Leadership, Scripture, Stewardship, The Story and tagged 1 Samuel 15, Anakin Skywalker, King Saul, Star Wars, To obey is better than sacrifice. Bookmark the permalink. 1 Response to The Story: Good Guy or Bad Guy? Good observation. I appreciate the nuance in the Star Wars story at least with regard to the one character. All too often especially in children’s fiction the good guys are really good and the bad guys are really bad. Real life isn’t that way. Though by no means a Christian, Thomas Hardy was very gifted at presenting complex characters that are often a mix of good and bad motivations. Obviously in light of the fall even the actions and motivations of the lost are in the end…wrong and evil. Yet in terms of our human relationship because of God’s general benevolence even fallen man can show some kindness. What I’ve been discussing with my son is the fact that sometimes an ‘orc’ can be smiling, wearing a suit, carrying a Bible and wearing a flag pin on his lapel. The real world is far more confusing. In addition to spiritual evil in disguise there are many Saul’s…we just don’t know yet where they’re going to end up. I’m sure there were many in Israel who wondered the same as Saul’s true character began to manifest itself.